MANILA, Philippines — The country’s mining industry will continue to underperform this year given the uncertainties in government policies. Latest report from Fitch Solutions Macro Research, a unit of Fitch Group, showed that the Philippines, alongside Myanmar, continued to underperform and would remain regional laggard in emerging Asia. Based on Fitch’s Asia Mining Risk and Reward index, the Philippines only scored 42.6 out of 100, ranking last out of 13 mineral-rich Asian countries and placing 45th globally. “The Philippines has been characterized by weak mining reserves, poor regulatory framework, corruption and increasing resource natio-nalism,” Fitch said. “Political uncertainty will continue to impinge on growth and especially foreign investment in the Philippines. Rampant income inequality, corruption and political uncertainty, increasing resource nationalism will also hurt the country in the coming years,” it added. Despite the replacement of anti-mining advocate Gina Lopez with Roy Cimatu, Fitch maintained that government regulations on the basis of environmental protection and general policy uncertainty would continue to plague the mining industry in the coming years. The Philippines has already been left behind as Asia’s mining sector continues to boast the greatest rewards globally with positive business environments, rich mineral deposits, supportive infrastructure and political stability in the countries holding the top positions in the mining index. The Department of Environment and Natural Resources (DENR), however, maintained that the industry might only be able to recover once the second package of the government’s tax reform program is passed. 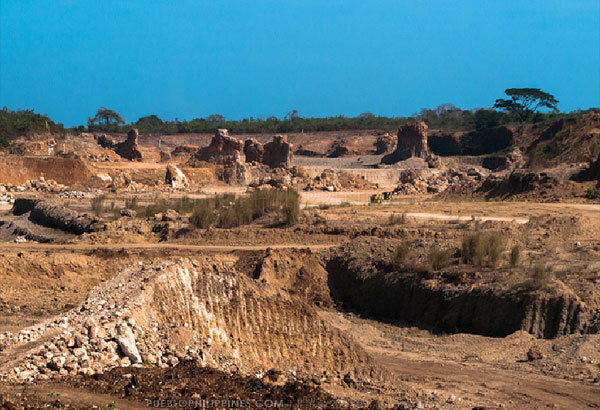 “The provisions of Executive Order 79 regarding moratorium on new mineral agreements is premised on passing of a law regarding new fiscal regime,” Environment Undersecretary for Mining Analiza Teh told The STAR on the sidelines of the GEF-GOLD Child Project on Thursday. “It is moving in the Senate so we are hoping that once the moratorium has been lifted, big investments will be opened up,” she added. The DENR is already letting the Department of Finance (DOF) take over all decisions regarding the taxation of the industry which will pave the way for the lifting of the moratorium on new mineral agreements. It remains optimistic that once TRAIN 2 or the Tax Reform for Attracting Better and High-quality Opportunities (TRABAHO) Bill is passed, new mining projects will eventually be approved because that is the only condition on the lifting of the moratorium on the processing of mining agreements. The EO provides that a moratorium on new mineral agreements should be implemented until a legislation rationalizing existing revenue sharing schemes and mechanisms have taken effect. However, the DOF clarified that TRAIN only increased the excise taxes on mineral products, and did not fully incorporate a new fiscal regime for mining. House Bill 8400 has already been approved by the House of Representatives on third and final reading. The bill was transmitted to the Senate last November.